'Will I really - I mean, really - actually take an axe, start bashing her on the head, smash her skull to pieces? . . . Will I really slip in sticky, warm blood, force the lock, steal, tremble, hide, all soaked in blood . . .axe in hand? . . . Lord, will I really?' 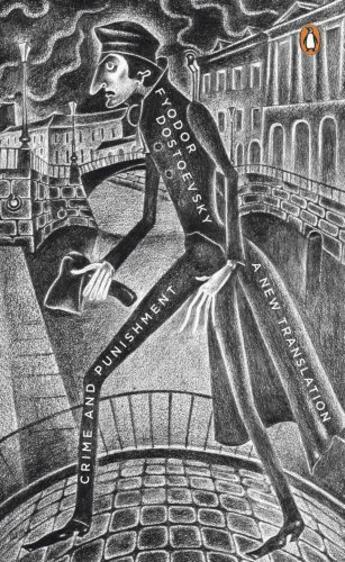 This new translation of Dostoevsky's 'psychological record of a crime' gives his dark masterpiece of murder and pursuit a renewed vitality, expressing its jagged, staccato urgency and fevered atmosphere as never before. Fyodor Mikhailovich Dostoevsky was born in Moscow in 1821. His debut, the epistolary novella Poor Folk (1846), made his name. In 1849 he was arrested for involvement with the politically subversive 'Petrashevsky circle' and until 1854 he lived in a convict prison in Omsk, Siberia. From this experience came The House of the Dead (1860-2). In 1860 he began the journal Vremya (Time). Already married, he fell in love with one of his contributors, Appollinaria Suslova, eighteen years his junior, and developed a ruinous passion for roulette. After the death of his first wife, Maria, in 1864, Dostoyevsky completed Notes from Underground and began work towards Crime and Punishment (1866). The major novels of his late period are The Idiot (1868), Demons (1871-2) and The Brothers Karamazov (1879-80). He died in 1881. Oliver Ready is Research Fellow in Russian Society and Culture at St Antony's College, Oxford. He is general editor of the anthology, The Ties of Blood: Russian Literature from the 21st Century (2008), and Consultant Editor for Russia, Central and Eastern Europe at the Times Literary Supplement. As Director of the Russkiy Mir Programme at St Antony's, he runs events and conferences devoted to Russian culture.